Does your home or business have water damage, fire damage, or smoke damage? Is your home or business located in Ann Arbor, MI? If so, contact us at A2 Restoration and let us take care of all your restoration needs. It is our goal to return your home or business back to normal as soon as we can, while charging you the best prices in town. 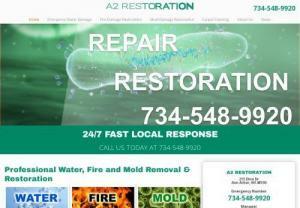 Contact A2 Restoration today and let's discuss taking care of your problem.